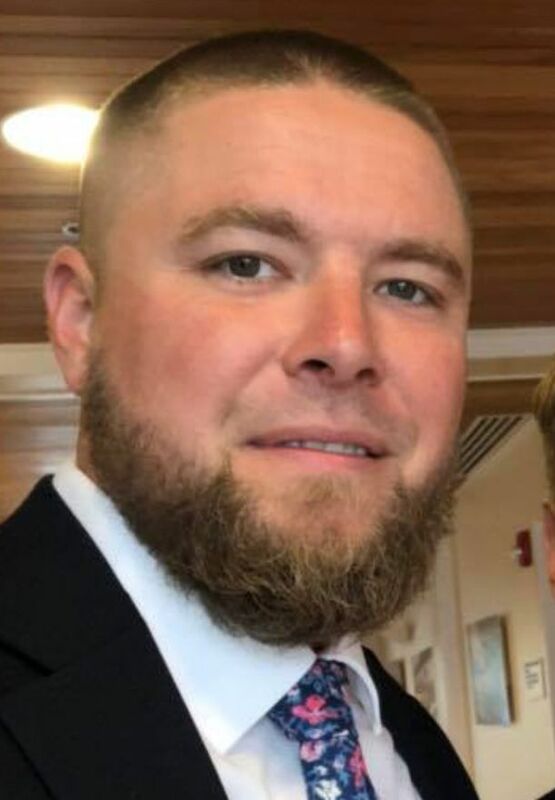 HOLBROOK, Andrew H, of W. Warwick, RI formerly of Holbrook, passed away unexpectedly after a long battle with addiction, July 16, 2018 at the age of 32. Beloved son of Joyce M. (O’Brien) Holbrook of Hingham and Herbert A. Holbrook, Jr. of Mattapoisett. Loving father of Dylan A. Holbrook and Georgia S. Holbrook both of Hingham. Devoted brother of Emily K. Sheehan and her husband Robert of Holbrook and Adam Holbrook and his wife Erinrose of Marshfield. Dear grandson of John F. O’Brien of Randolph the late Virginia (Rossi) O’Brien and the late Herbert A. Holbrook, Sr. and Theresa (Banda) Holbrook. Dear uncle of Declan and Liam Sheehan. Dear nephew of John O’Brien of Hull, Dennis O’Brien of Randolph, Virginia Melia of Naples, FL, Christine Jope and her husband Rick of Holbrook, Lisa Holbrook and Lori Bridge Holbrook both of Plymouth, and the late Jean Marie Fotino and David O’Brien. Also survived by many cousins and friends. Andrew was born in Brockton and grew up in Holbrook and was a graduate of Holbrook High School. He was a roofer and member of Roofers Local #33, Stoughton. He loved spending time at the family cottage on Micajah Pond, Plymouth. His greatest joy however came from spending time with family and friends. Reposing at the Cartwright Funeral Home, 68 So. Franklin St., Holbrook MA 02343 until 9:00 AM Saturday followed by a Funeral Mass at 10:00 AM in St. Michael Church, Avon MA. Relatives and friends are respectfully invited to attend. Visiting hours Friday from 4:00 to 8:00 PM. Burial will take place in St. Mary Cemetery, Randolph MA. In lieu of flowers donations may be made in his name to either the Dana Farber Cancer Institute or to the American Heart Assoc.